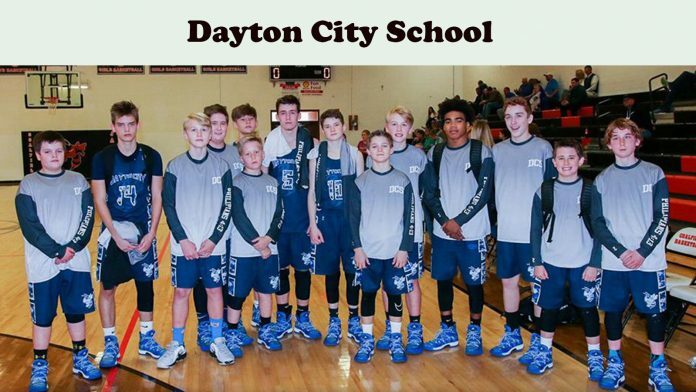 Sevierville, TN — The Dayton City School boys basketball team exploded for a 57-34 win in opening round of the State Playoffs against Ridgeview on Tuesday night against Fairview . Rex Pendergrass and Tyler Dupre led the Sweatbees with 21 points and 12 points respectively. Also scoring were Michael Hill and Alijah Hill with 8 points, Liam Moore with 3 points, Bryce Dupre, Lane Brooks and Dawson Mickel with 2 points. With the win, DCS moved their 20-3. The Bees will be in action again on Friday night with 7:00 pm est game against Mary Hughes Middle School, who come into the game with a 29-0 record. Lane Brooks, Alijah Davis, Tyler Dupre, Liam Moore and Michael Hill are 8th graders this year.